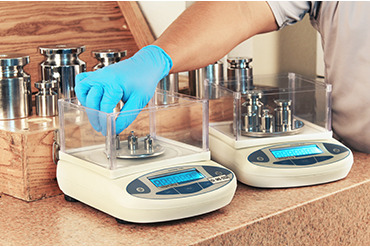 Our standards meet the requirements of ISO / IEC 17025: 2005. We evaluate the instruments according to the manufacturer's specification, declare the uncertainty according to NMX-CH-140-IMNC-2002, we are traceable to: National Metrology Center (CENAM), National Institute of Standards and Technology (NIST). 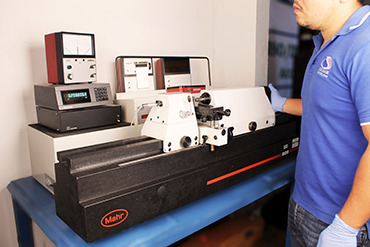 Certificate L17-440: Dimensional Inspection and Mechanical Testing. acreditation (PJLA),(NACLA), Asia Pacific Laboratory Accreditation Cooperation (APLAC), International Laboratory Accreditation Cooperation (ILAC),Normalización y Certificación Electrónica (NYCE) and National Association for Proficiency Testing (NAPT). . 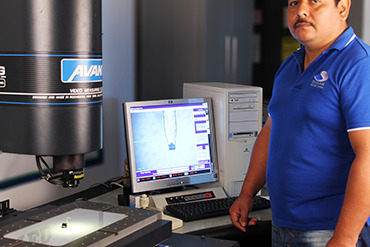 Committed to provide calibration services to industries in the region and north of Tamaulipas, according to established methods and / or customer requirements, complying with the standard: NMX-EC-17025-2006 (ISO / IEC 17070: 2005), with Trained personnel, with competitive prices, satisfying the needs of our clients and collaborators. Nuestros contenidos están preparados de acuerdo al “Modelo de Competencias”, (Aprender- Haciendo).